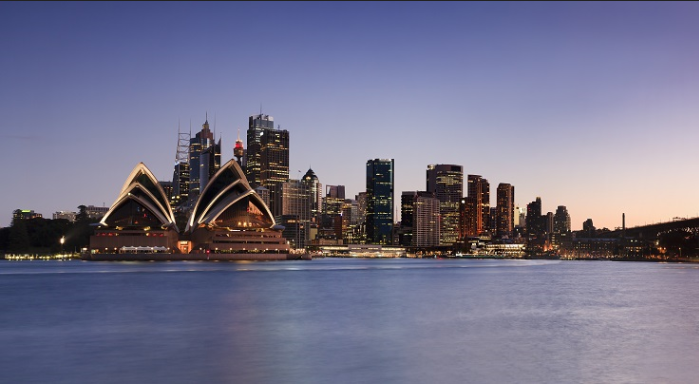 If you’re holding British pounds or New Zealand dollars and have been waiting for the right time to convert these funds to Australian dollars, now might be the right time. 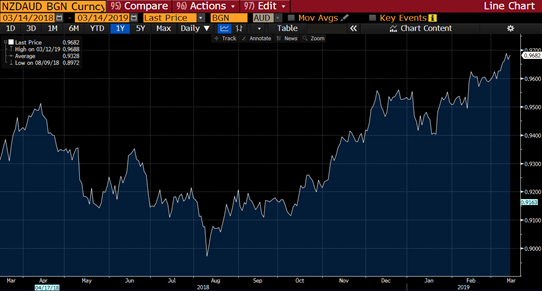 The GBP/AUD pair has reached its highest level since June 2016 as a result of renewed confidence along the way that a Brexit deal may actually go through by March 29. The pound soared another 1% after UK lawmakers voted to hypothetically take a ‘no deal’ Brexit off the table. Closer to home, the NZD/AUD pair is close to parity following poor Aussie data. Australian quarterly GDP prints fell again in the December quarter, rounding off what has been a weak performance for the Australian economy. 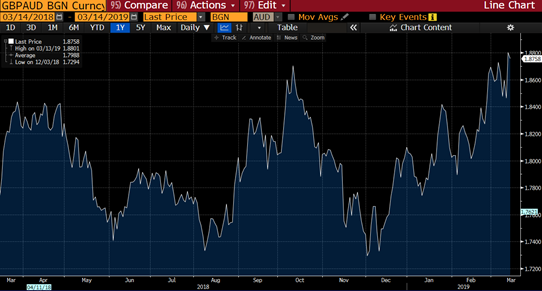 Currency markets are unpredictable, but what this means is that now could be the right time to repatriate funds, particularly if you’re holding NZD or GBP. The table below, using the market rate, shows repatriating £100,000 to AUD in December 2018 vs March 2019 could result in almost $15,000 more Aussie dollars. Even with favorable market conditions it’s important to manage your currency transfers effectively. Save on currency transfers. Take full advantage of market conditions by achieving marketing leading exchange rates and saving on fees. Forward contracts. If you have a fixed amount foreign exchange planned, a forward contract allows you to lock in an exchange rate for up to two years with a deposit. Firm orders. If you’re targeting a particular exchange rate, a firm order will automatically purchase the currency for you once your target rate is achieved. Rates alerts. Complete a rate alert form online and we’ll send you an email or text once a particular exchange rate is hit. Sign up for free WorldFirst account today or speak to your currency specialist.